Oasis Ara Damansara is a commercial hub. It is divided up into 6 phases of development on 15.78 acres of land, and features office towers, shops, jogging track, serviced apartments, and a Central Piazza shops. Oasis Ara Damansara looking for a solution to maintain all the commercial properties and their tenants. 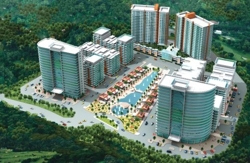 Infocon Holdings has implemented the Building Management System in Oasis Ara Damansara. For the Computerized Maintenance Management System (CMMS) and Facilities Management, they selected SIERRA's eFACiLiTY® that seamlessly integrates with Building Management Systems (BMS). Asset / Maintenance Management, Helpdesk and Knowledgebase, Facilities Booking / Reservation System are the modules that were selected for implementation. The eFACiLiTY® – Asset / Maintenance Management module manages all the assets present in the building and tracks their warranty / AMC contract details, their maintenance schedules, costs & budgets, break–down history, inventory related to the assets and their purchase orders etc. The eFACiLiTY® – Facility Booking module manages the reservation of all facilities like conference rooms, meeting rooms, office space etc available in the government buildings, maintains a booking calendar, takes care of reservations / cancellations, billing to respective cost centers, managers orders to the catering for supplying refreshments, car park booking etc.